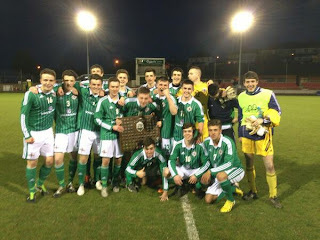 The Northern Ireland Schoolboy teams offer the first step for most players towards international football. 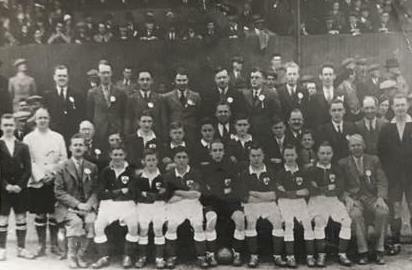 The Northern Ireland Schools' FA was founded in 1931, though internationals had been organised as early as 1927. 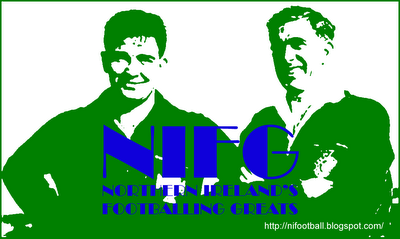 The NISFA currently runs three male sides at Under-18, Under-16 and the occasionally used Under-15 levels. 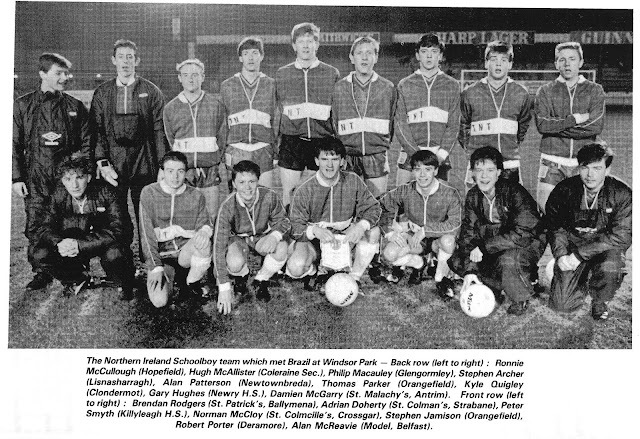 The Under-15 side was however the original side. 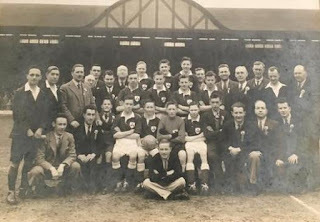 The main competitions entered by these teams are the Centenary Shield (for Under-18s) and the Victory Shield (Under-16s), though they also play in other tournaments and friendlies. 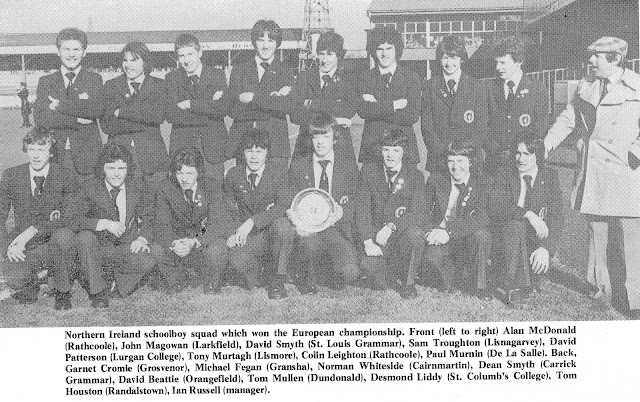 Perhaps the greatest success for the Northern Ireland Schoolboys was winning the European Schools Championship in 1979 with a team that included future stars, Alan McDonald and Norman Whiteside. Key: E - England, S - Scotland, W - Wales, RI - Rep. of Ireland, Aut - Austria, H - Netherlands, WG - West Germany, NZ - New Zealand, Sw - Switzerland.